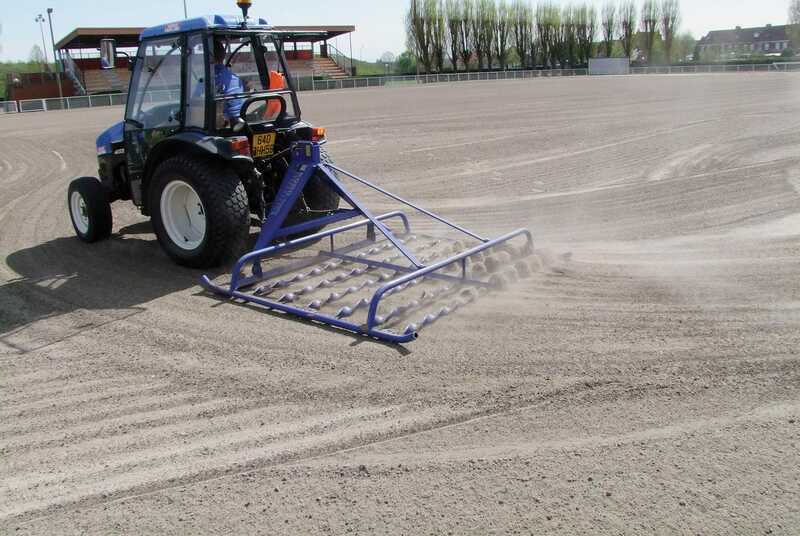 The Speed Harrow is designed for fast and efficient levelling of sports fields, after heavy top-dressing or after surface cultivation or Recycling Dresser. 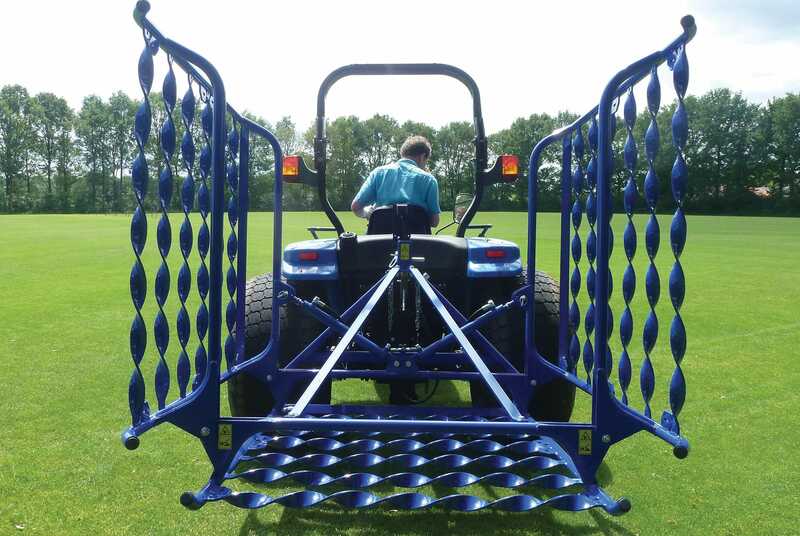 The specially designed fluted bars help to level the surface by allowing the dressing to flow through. 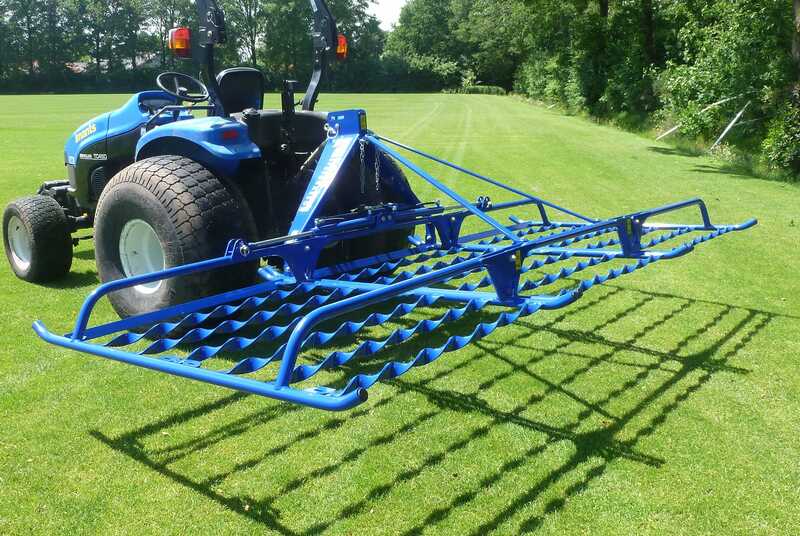 The Speed Harrow 4100 is 3-point linkage mounted, and has hydraulic lift to the wing units. 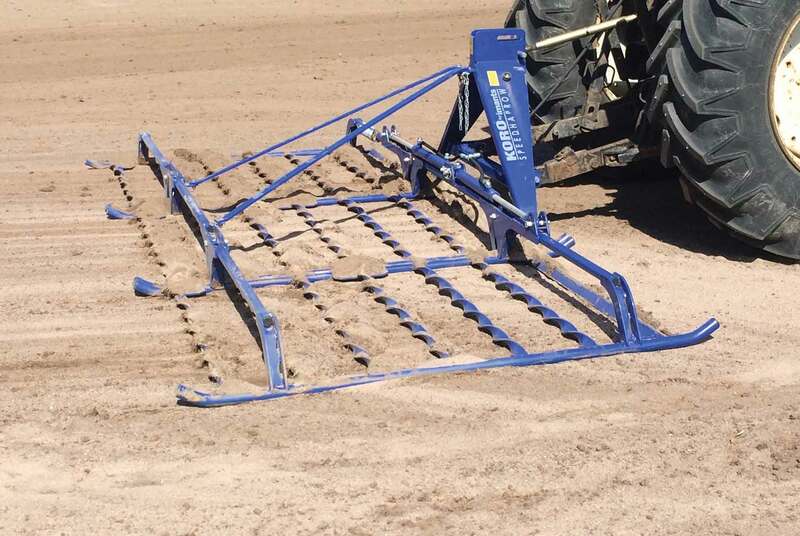 The Speed Harrow 2000 is a single rigid unit. 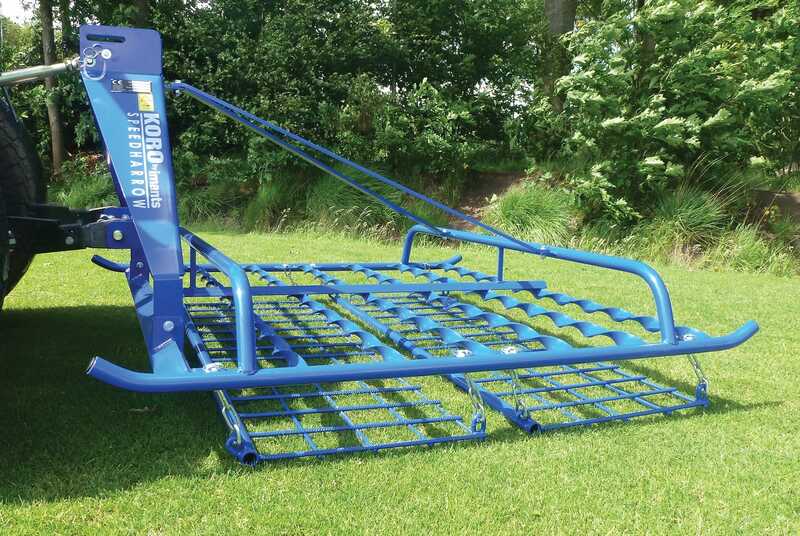 The ‘competition spec’ removable light levelling bars are suspended beneath the main frame for rubbing in light dressing on turfed surfaces, and for quickly restoring playing surface levels after matches.